The Cold War was a scary time.The threat of nuclear annihilation always felt like it was just around the corner. But it wasn’t just civilians listening to air raid siren drills and watching Duck and Cover over and over. The government itself was awash in paranoia. Most people know about the McCarthy hearings — where people in the Army were brought forward and asked “Are you now, or have you ever been a Communist?” And a few years before that was the Hollywood Blacklist — where left-leaning writers and actors were blacklisted from working. As the excellent podcast You Must Remember This pointed out, you could be blacklisted for being anti-Nazi too early. However, a year before the McCarthy hearings, President Eisenhower declared queer people to be a threat to national security. Thanks to this ignorant statement, the Lavender Scare started — and over the next 40 years, tens of thousands of queer people lost their government jobs. Some even committed suicide over their unjust firing. 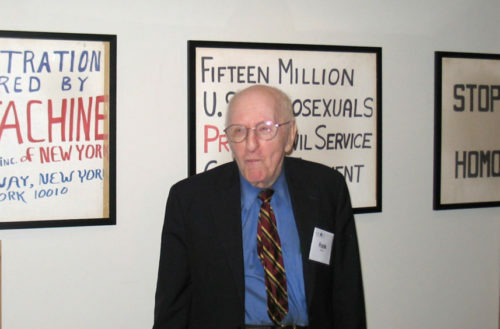 One of the biggest names in fighting the Lavender Scare was Frank Kameny — someone you might know as the co-founder of the Mattachine Society, the early gay rights organization. While working on his Ph.D thesis, Kameny was arrested by plainclothes police officers in San Francisco. He was arrested after a stranger approached and groped him. He was promised that the conviction would be expunged after serving three years of probation. In 1957, Kameny was hired as an astronomer for Army Map Service. Shortly after, however, he was questioned about the arrest by his superiors. Kameny refused to answer any questions about his orientation and was fired. Kameny appealed his firing — and the case went all the way to the Supreme Court. Unfortunately, the Court refused to hear his case and the firing stood. Still, this was the first known civil rights claim based on orientation that went to court in the United States. Josh Howard has made a new film, The Lavender Scare. It’s the first film to tell this story. The film has been in the works for several years, but finally made its premiere in January 2017, where it’s been a selection of many queer film festivals, including San Francisco’s Frameline. It will come out this Fall, with the official dates announced in August. 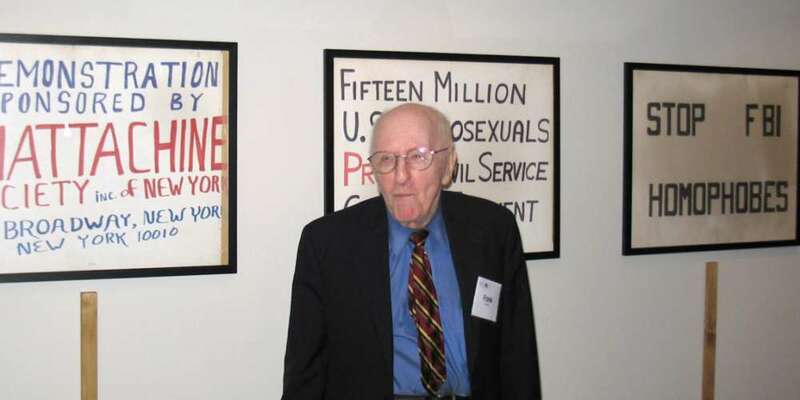 The film is based on the book The Lavender Scare: The Cold War Persecution of Gays and Lesbians in the Federal Government by David K. Johnson. Both use Kameny’s story as an entry point, and focus on his fight for equality. Featured photo by DCVirago via Wikimedia Commons.